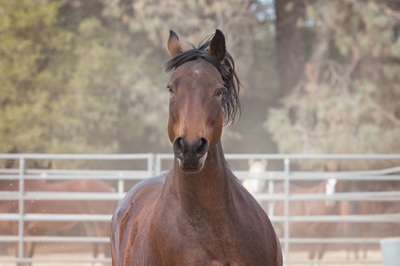 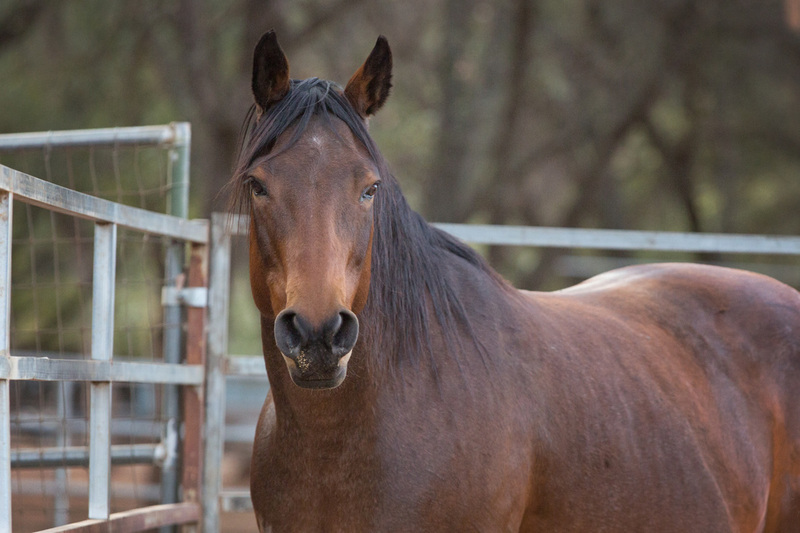 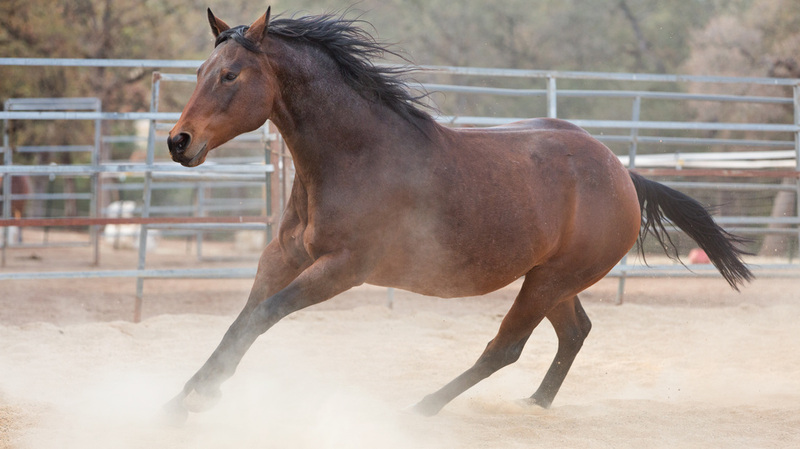 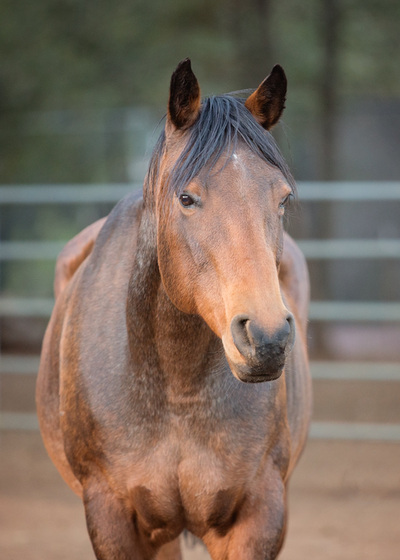 Kai was part of a collaborative rescue effort in Fallon, NV that saved more than 30 horses at auction from purchase by a slaughter buyer. 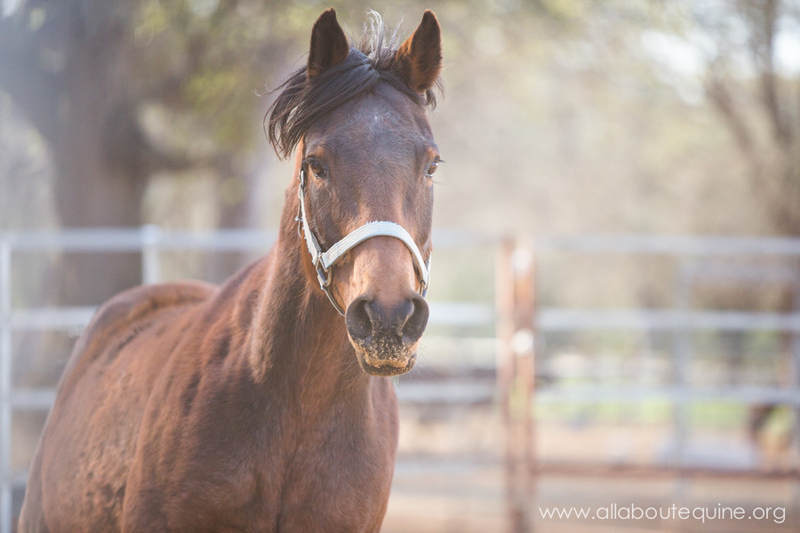 Kai arrived at AAE on March 25, 2014. 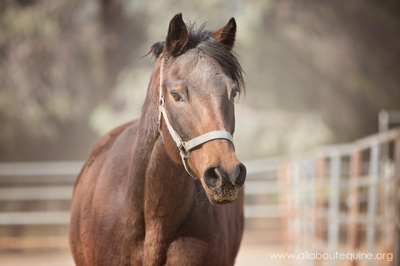 She appeared to be minimally handled or unhandled, and in foal, but one of few auction/feedlot rescues that appeared in good health. She delivered her colt, Finnegan, on April 18, 2014, who has since been adopted. 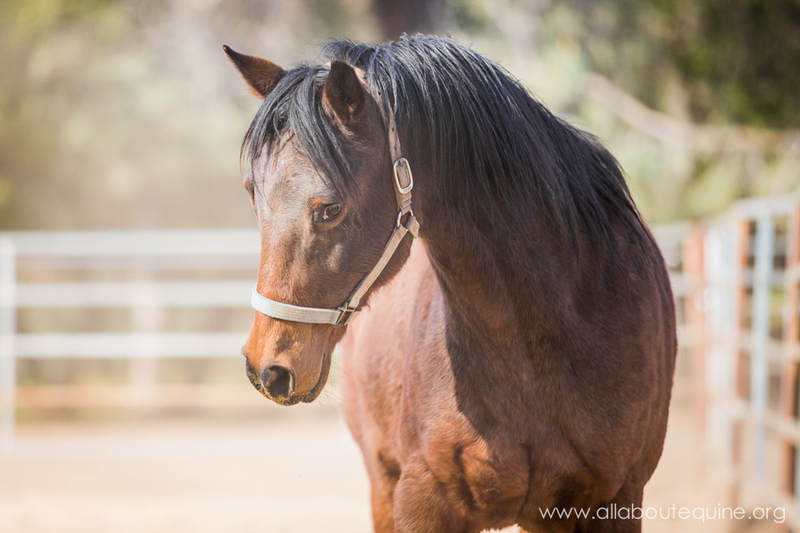 Kai recently spent some time at the Monty Roberts International Learning Center (MRILC) as a project horse where she received some handling, desensitizing, and socializing. 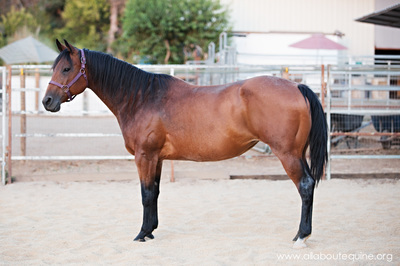 In May 2015, two advanced students from MRILC spent a couple weeks at AAE, and Kai continued her learning with additional groundwork, long-lining, and started under saddle (no rider). 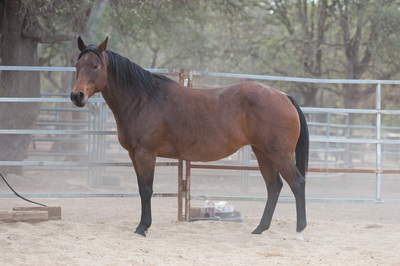 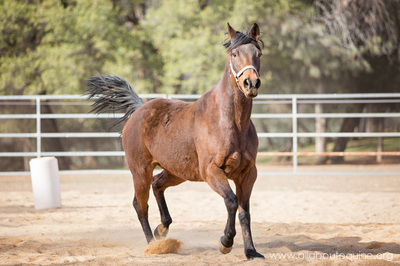 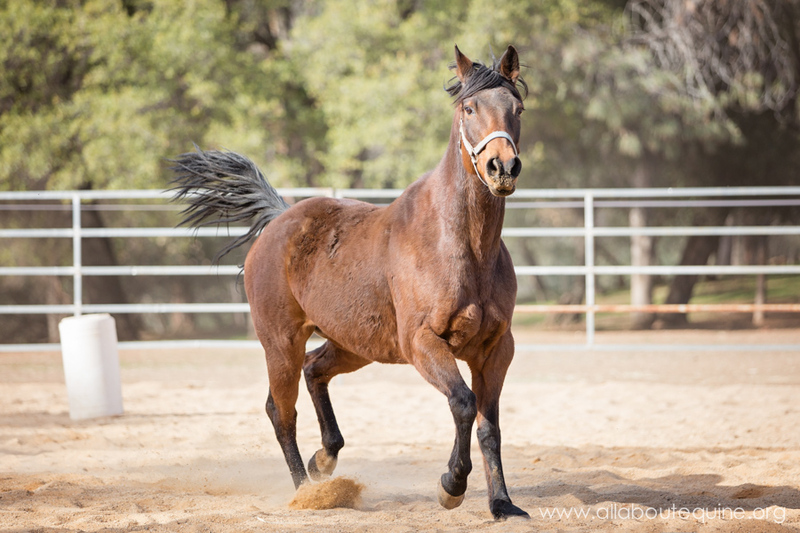 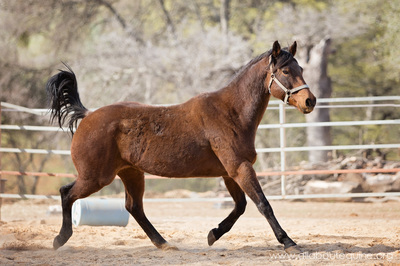 Kai is a big, beautiful mare with lots of promise. 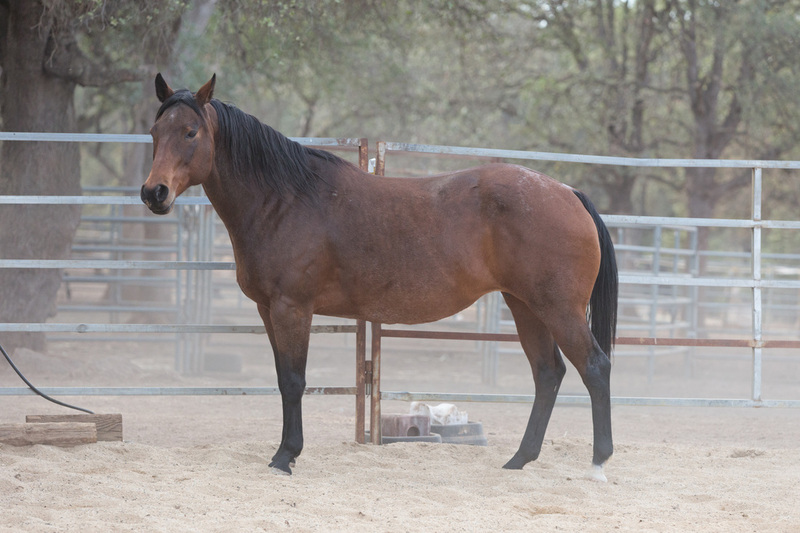 She is still working on socialization and trust of her human friends, but she is a relatively calm, confident mare and displays a willingness to learn.